Pack your bags, find good moving services in London and move to one of Europe’s oldest cities. Here you are going to find historical buildings, odd street names, peculiar laws and traditions. Even London’s name is coated in mystery and legend. We have gathered some amazing facts in hope that they will make you smile while planning your London house move. Are you ready to remove to London and its curiosities? Parks, rivers, museums and much more, here are five amusing facts that will make you chuckle. Every year, during the third week of July, you can witness the occurrence of a truly unique event — the Swan Upping. 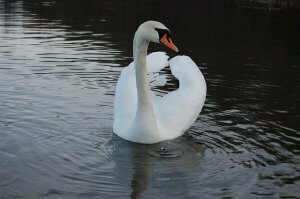 As head of the British Monarchy, Queen Elizabeth II is also the owner and caretaker of the royal mute swans. Which means that she takes part in the annual counting of the swans in London. This incredible tradition is more than nine hundred years old, but it was legally defined in the Act of Swans from 1482. It is prohibited to cause any harm to the royal swans, which are monitored and protected by their own guard. Every Christmas, one of the biggest events in the most capitals and big cities in the world is the lightning of the Christmas tree and the Trafalgar Square Christmas tree in London is no exception. However, this tree has a unique history – it is gifted from the city of Oslo to the British people. Every year in November, there is a big ceremony in the Scandinavian country in which a twenty-meter Norway spruce is cut and sent to London as a token of gratitude for Britain’s help to Norway during World War II. When you remove to London, make sure to go and visit the Trafalgar Square Christmas tree and see the plaque of gratitude placed under it. Did you know once The River Thames was inhabited by a polar bear? Bizarre as it may sound, this is actually true. In 1252, King Henry III received a polar bear and its keeper as a gift from King Haakon IV of Norway. The king of England loved the bear and ordered it to be kept on a particularly long chain so it can swim and catch fish in the river. The polar bear was part of a large menagerie occupying the Tower of London. After your London removals go and visit the Tower of London where you can walk among the life-size sculptures of the old occupants of the Royal Menagerie. When moving to your new home in London, stay on the lookout for the hidden rivers of the Old Capital. London is located above a tight net of more than twenty small underground rivers. They flow into the River Thames or River Lea and have gone to major moderations in the last centuries. The largest of the hidden rivers, and maybe the most famous, is The Fleet. Be sure to check in your local library if your new home lies on one these historical subterranean rivers. There is nothing more relaxing than spending an afternoon enjoying the good weather and the calm atmosphere in one of the many city parks in London. But be aware that there are some odd laws regarding the London parks. 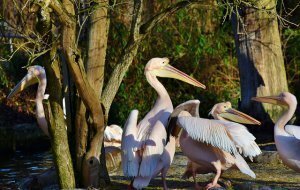 According to the Royal Parks and Other Open Spaces Regulations from 1997, you are prohibited from touching a pelican if you haven’t obtained a special permission. In the same Regulation, it is mentioned that kites are strictly prohibited in the parks. You are also not allowed to skate or go near any kind of ice. Tall buildings, streets with interesting names that carry deep historical meaning, and much more can be found in the London archives. 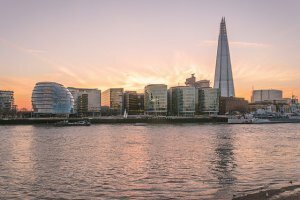 Located in the heart of the City of London, the Shard is the tallest building in the United Kingdom and in the European Union. This ninety-five-story skyscraper has an observation deck and a three hundred and sixty degree view of the Old Capital. After executing your home moving, be sure to visit the Shard to get a good look at the magnificent London. One of the most iconic buildings in London is the House of Parliament, commonly known as the Palace of Westminster. The Palace lies on the north bank of the River Thames in the City of Westminster in central London. It is believed that the unique location is chosen to avoid the gathering of big mobs in front of the House of Parliament. There are some pretty unique and bizarre laws surrounding the largest Palace in the country. Just to name a few: you are prohibited of reading a newspaper or reading a speech during debate in the House of Commons; you cannot be arrested on palace grounds and, maybe one of the most extraordinary ones — the prohibition of death – you are prohibited by law to die in the Palace of Westminster. Unusual street names in London. Imagine calling your moving company in London and giving them one of these strange addresses: Bleeding Heart Yard, Wardrobe Place, Pudding-lane or Ha Ha Road. Although the majority of oddly named streets are already occupied by old historical buildings, there is still a chance to be among those chosen few who have unforgettable removals in London. A common misconception is that the big clock tower near the Palace of Westminster is called Big Ben. In fact, this is a nickname for the Great Bell located in the clock tower. In 2012, in honor of the Diamond Jubilee of Elizabeth II, the tower received its new name – the Elizabeth Tower. 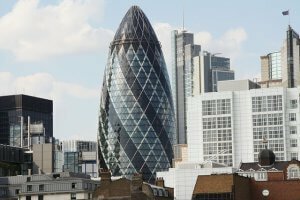 One of the most eye-catching and well-recognized buildings in London is the Gherkin tower. Finished in 2003 and opened in 2004, the commercial skyscraper is known for its unusual glass shape and energy-saving methods, which allow it to consume half of the energy that a similar building may need to function. On the top level of the Gherkin building, there is an incredible bar that offers a panoramic view of London. This is definitely the best place to celebrate your successful London house removal.